DCR1020. D'Addario Reserve Bb klarinett rörblad, 10-pack, # 2.0. • A traditional blank clarinet reed engineered for exceptional performance and consistency. • Ideal for the advancing student and professional. • Expertly designed and made in the USA from naturally-grown cane from D'Addario's own foreign fields. 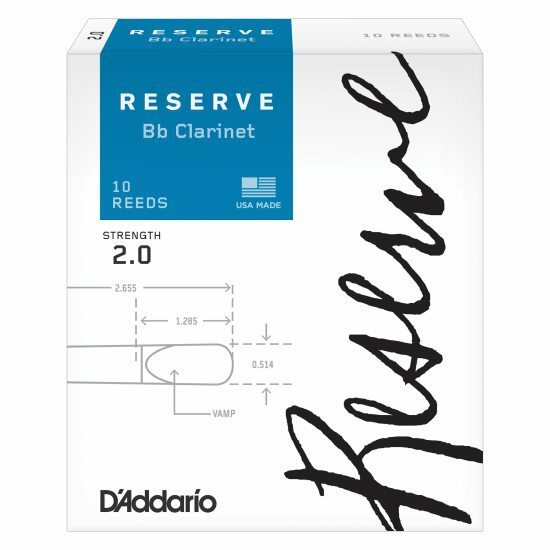 • The Reserve line for Bb clarinet also includes a thick blank option: Reserve Classic.